Update 05-23-09. 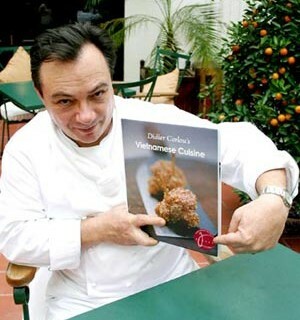 It is no mean feat to be compared to the late Julia Child. Julia Child is probably the most revered name in the American food world, having given Americans their first taste of true French cuisine in the United States, and having introduced exemplary cooking techniques that are still followed today. It is no mean feat to be compared to Julia Child, but Corinne Trang has made it and is managing to live it fully. 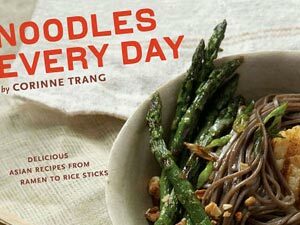 Aside from food writing, Corinne Trang is also regularly featured in radio and television programs, including "Martha Stewart Living," "Simply Ming," and "America's Dining and Travel Guide." She also holds classes and seminars at Drexel University in Philadelphia, at the New York University in New York, at Syracuse University and at the University of Texas in Austin. Corinne Trang's expertise in Vietnamese cuisine is not really an exact product of her ethnical background. She was born in the Loire Valley in France, to a French mother and a Chinese-Cambodian father. While she was growing up, her family traveled between Paris, New York and Phnom Penh. 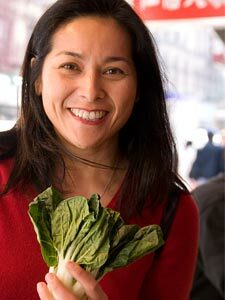 Her ethnical background nonetheless gave her the ability to understand Vietnamese cuisine. 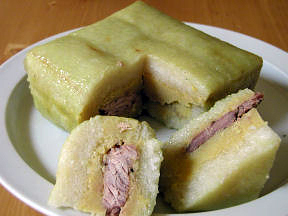 The French side of her made her able to appreciate the French influence in the techniques used by the Vietnamese to create their meals. Memories of her grandmother's kitchen in Phnom Penh, where the atmosphere was always infused with the warmth and aroma of spices and sauces commonly used in Vietnamese dishes, gave her a sense of what is authentic Vietnamese cuisine. Corinne Trang's innate and intimate knowledge of the native cuisine in Southeast Asia was enhanced further by her own formal education. She attended Drexel University and finished with a degree in culinary arts and a minor in business. "The five flavor notes (or characters) system is what makes Asian food so interesting and appealing. It satisfies all taste buds. It is tied to the yin yang, the Chinese philosophy of balanced opposites. At every meal you should be able to experience salty, sweet, sour, bitter, and spicy notes throughout the meal. This system makes for a more sophisticated palate. 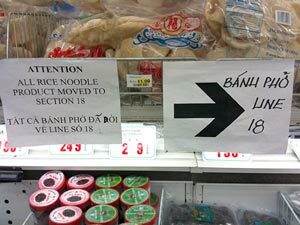 It is essential in Asian cookery. Consider that Asians do not eat dessert at the end of the meal, because they've had a sweet element to their food throughout their meal. There is no need to satisfy that sweet tooth. It has already been satisfied. You can approach every element of this five-flavor-note system in the same way. At the end of the meal, Asians drink tea to help digest. On occasion they will eat fresh citrus fruit." 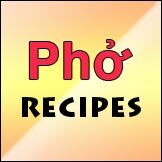 In her book Authentic Vietnamese Cooking: Food from a Family Table, Corinne Trang covered many pages discussing how to make a successful pho meal. 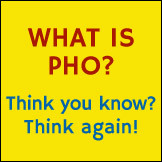 She said that the success of the pho is mainly in the quality of the stock, and the quality of the stock depends on the techniques and ingredients used in making them. 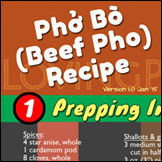 Among the key ingredients to a great stock for pho are star anise and cinnamon. 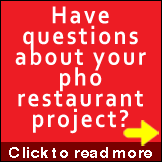 According to her, and to pho expert Andrea Nguyen, about three hours is what you need for a good stock.